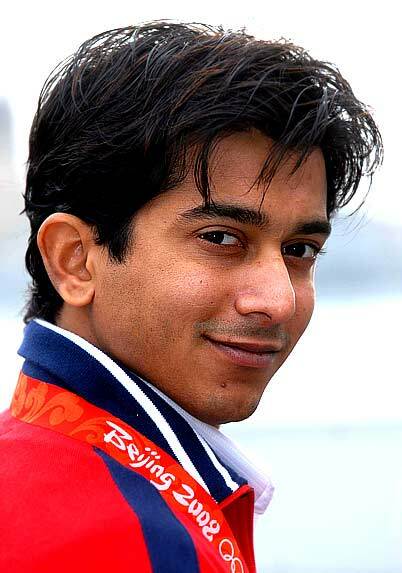 Last week Gymnast Raj Bhavsar, winner of 2008 Beijing Olympic bronze medal attended a fundraiser in New York City endorsing the Nanubhai Education Foundation, a non-profit that supports children's education in the village of Kadod in rural Gujarat. His dream is to see kids not only succeed in education but also thrive in the world of sports. What are you doing now? What are some of your future plans? I am still training. Working on a couple of skills to be named after me. It's not enough to just win, it's important to leave a mark. I am also doing some other entrepreneurial stuff that are all in the exploratory stage. But I would also love to go to India to bring awareness about gymnastics and other sports. What was a typical day like, in your life, just before the Olympics? It was like a 9-5 job. More like working from 9 am to 8 pm. I would spend five hours a day on physical fitness and training. After that meet with sports psychologists, read books on goal setting and do Bikram Yoga. I had to make sure that I was eating right. I did not have a dietician. But I ate food that would allow me to maintain optimal level of performance. I believe that if you eat junk, you feel like junk. So I made sure that I ate the kind of food that resonates with my goal.